The Dunean Mill Historic District consists of a large textile mill complex, two churches, a gymnasium, commercial block, and supervisor housing. The mill complex is constructed of buff brick with black mortar joints. The mill complex includes a large single-story weave room, a two-story spinning and carding room building, a cotton warehouse, smoke stack, water tower, and office building. Adjacent to the commercial core of the community is Smythe Avenue, which is a broad curving street of mill management houses set back on large lots. The houses are constructed in Colonial Revival and Craftsman styles. The Dunean Mill Historic District is significant for its associations with the textile industry in Greenville. Dunean Mill is an example of the expansion of the textile industry made possible by technological advancement in the early twentieth century. Ellison Adger Smythe leveraged his previous success in the textile industry to harness the power of electricity, which could now be transported over great distances, to create one of the largest new mill constructions ever undertaken in Greenville. 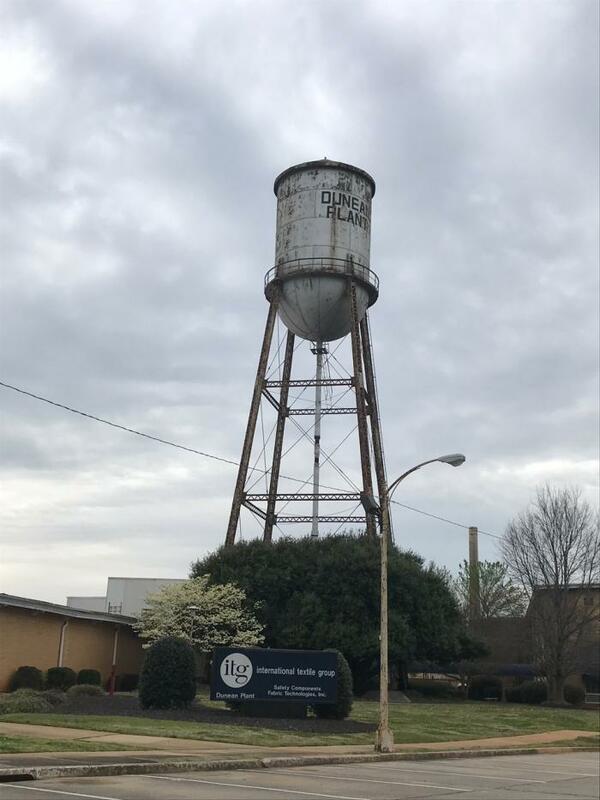 Throughout its history, Dunean Mill was a prominent textile mill in the community through periods of strife and opportunities for expansion which later made it the flagship of one of the textile giants, J.P. Stevens, in Greenville. At Dunean, Smythe created a corporate core of the mill village with commercial, recreational, and religious buildings to support the larger mill village. The design of this central hub of the mill village was influenced by national movements in architectural design, city planning, and mill management to develop a community that would draw and retain workers in the classic pattern of mill paternalism. Listed in the National Register February 4, 2019.